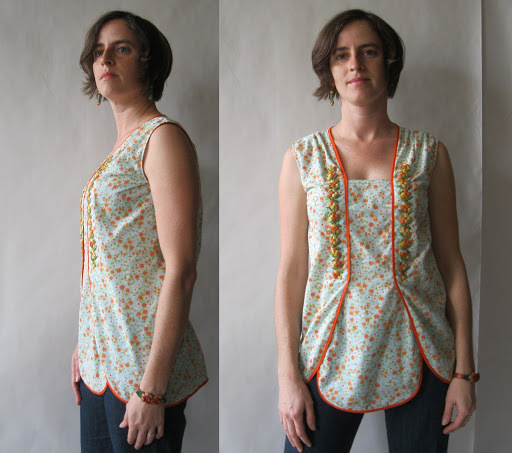 My newest design: the Minnie Tunic Blouse! 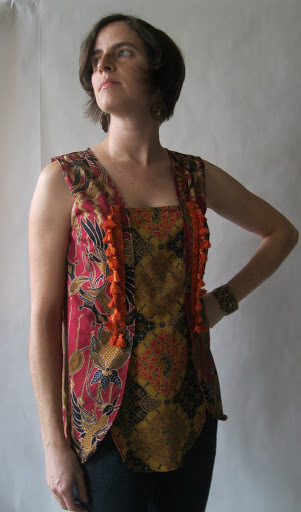 These tunic blouses, inspired by the free styles of the 1920’s and named for one of my favorite musical artists of all time, Memphis Minnie, feature a sleeveless, softly fitting shaped bodice, a square neckline, a petal-like layered curved hemline which overlaps the front center panel on either side, and vintage and/or contemporary fabrics and embellishments. 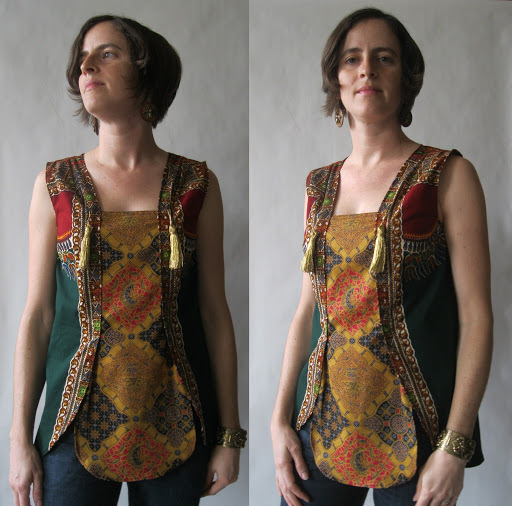 It’s available with rolled hems, or bound in a contrasting color, both options shown in the photos; I can create it for you as a pullover, or with a hidden side snap up placket. 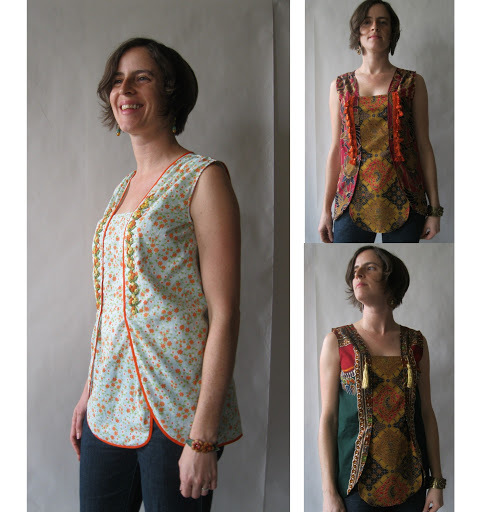 These tops are made to order by request; you may choose the fabric from my fabric shop, and I will select a suitable trim which suits the fabric for you, or you may choose one from my shop as well. I have many more lovely trims than I offer for sale in my shop which I reserve only for my own designs.